Mercedes-Benz Financial is just one of the specialised brands of Mercedes-Benz Financial Services Australia Pty Ltd, serving both dealers and customers of the Daimler Group, affiliate and non-affiliate vehicle brands. Asset-Hire Purchase is designed for business customers who ultimately want to own their vehicle at the conclusion of the contract term. With an Asset Loan - commonly referred to as a Chattel Mortgage - vehicle ownership is transferred to you at the commencement of your finance contract. A Finance Lease is a rental agreement offering fixed monthly repayments for the period of the contract, with the addition of a residual value negotiated at the start of the term. At the end of the term you can make an offer to purchase, or re-lease your vehicle, or upgrade to a brand new vehicle - the choice is yours. Benefit from the ability to increase your deposit or trade-in to reduce monthly repayments. + Guaranteed Future Value (GFV) is subject to Excess Kilometre charges calculated at $0.15/kilometre in excess of the agreed annual allowance. Fair Wear and Tear return conditions apply. * Agility Finance is restricted to approved customers of Mercedes-Benz Financial Services Australia Pty Ltd ABN 73 074 134 517 (MBFS), Australian credit licence 247271 and is subject to standard credit assessment and lending criteria. Please contact an authorised Mercedes-Benz dealer for further details and full terms and conditions (including vehicle eligibility). What is a Mercedes-Benz Financial Operating Lease? A Mercedes-Benz Financial Operating Lease enables you to manage your vehicle without having to purchase outright. We can tailor solutions to suit your financial needs including finance contract terms of 24 to 60 months with the flexibility of choosing your annual kilometres. An Operating Lease is suitable for individuals and businesses who regularly upgrade their vehicle. You gain the benefit of off balance sheet, competitive monthly rentals that may be fully tax deductible. * Furthermore, Mercedes-Benz Financial removes the liability associated with your vehicle’s value at the end of the finance term, because you hand the vehicle back with no further financial obligation apart from any excess kilometre charges, or any damage outside of fair wear and tear^. Any of these packages can be added to your Operating Lease finance contract. All service and maintenance packages ensure guaranteed genuine Mercedes-Benz parts and quality. 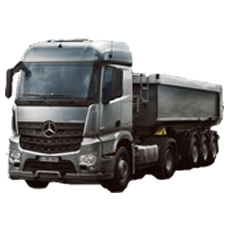 Your Operating Lease contract will be taking care of your Mercedes-Benz truck servicing and maintenance costs for the term of your finance contract with minimal effort. All your scheduled servicing and maintenance costs are included, no matter what happens to parts or labour prices in the future. You have set monthly payments that won’t change for the duration of your contract. Mercedes-Benz Financial Operating Lease is available to approved business customers of Mercedes-Benz Financial, a registered business name of Mercedes-Benz Financial Services Australia Pty Ltd ABN 73 074 134 517 (MBFSAu). Standard credit assessment and lending criteria apply. * MBFSAu makes no representation as to the effect of any financial product on your personal or company tax arrangements and recommends you seek independent financial, taxation and legal advice before entering into any finance agreement. 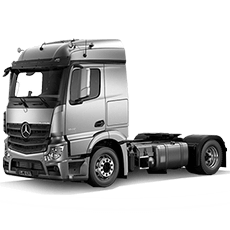 + Operating Lease Optional Extras and Safeguard cover packages are provided by Mercedes-Benz Australia/Pacific Pty Ltd ACN 004 411 410..
^ The Mercedes-Benz Truck Operating Lease Fair Wear & Tear Guide (FW&T Guide) is provided with your lease documents or, upon request. Full details on Inclusions and Exclusions are available in the FW&T Guide. 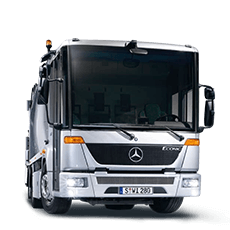 Please contact an authorised Mercedes-Benz Truck dealer for full details, including vehicle eligibility.